Popups! What do you think? Are they annoying? Infuriating? Frustrating? The answer to that, I’m afraid, is an emphatic yes. This comprehensive article will dive straight into this controversial topic and leave you still swimming on the other side. I’ll answer the question “should you use popups?” for the last time. I’ll get into defining a popup, explaining the pros and cons of each popup type, give you the best practices (and no-no’s) you need to know and finish with the importance of testing, and how it can make all the difference. A popup (in the terms we’re talking about it in this article) is also called a “modal window”. Basically, it’s “any type of window that is secondary to a parent window that usurps the parent’s control.” The easiest way to think about it is as a window that pops up upon a certain trigger (more on that below) and stops visitors from interacting with the page until they complete a certain action. Why are they both controversial and awesome? They’re controversial because (when done badly) they can be extremely annoying, stopping you from bouncing from a page you want to bounce from. They’re in your face, loud, and shocking. They also work, and that’s what makes them awesome for your business (when done correctly). 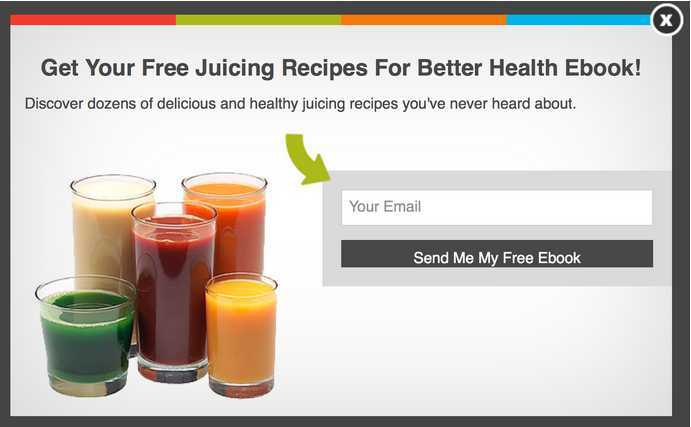 Case studies have shown 1,000% increases in email subscribers over a month of using popups. Many business ( socialtriggers, for instance) have utilized them to increase email subscribers lists by tens of thousands. Readers and visitors to your pages have short attention spans. They may not subscribe or submit lead information not because they don’t like what they see, but because they’ve been distracted, are bored, or you don’t have a clear call-to-action button. Popups interrupt their leaving, putting an engagement opportunity front and center. Readers and visitors (particularly to your blog site) are focused on your valuable content. People focused on a certain task (reading your best-practices article, for instance) experience something called “inattention blindness”, which means they don’t notice something obvious when they’re focused on something specific. Popups break through inattention blindness and encourage a conversion that might have occurred had your visitor been able to see your “ask”. Anybody who is trying to leave your page (so long as your popup follows the best practices and avoids the no-no’s I give below) will do so no matter if there’s a popup or not. People who may want to engage but were distracted or didn’t notice your “ask” have a far higher chance of following through if you integrate well-designed, timely popups. What kinds of popups are there, and why are they good? There are five main popup strategies, and they should each be tested by your business to determine which works best for you. Not every popup builder will have the same options, but here's some of the most common. Scroll Popup: Scroll popups work by “popping-up” only when your landing page or blog visitor has scrolled a certain amount down your page. I recommend you don’t show your scroll popup before the halfway point of your page. Timed Popup : Depending on your business (many affiliates have found more success with a 10-15 second popup), timing your popups can have a huge effect on conversion rates. Most case-studies agree that the optimal time for your popup is less than or equal to 60 seconds after a visitor has entered your page. Test this for yourself. Entry Popup: Far rarer, entry popups appear as soon as a visitor arrives on your page. Entry popups are interesting as they appear after someone has clicked on a link they’re interested in, meaning they don’t always cause a bounce (even if they don’t cause a conversion). It’s important that you only have one type of popup per page. 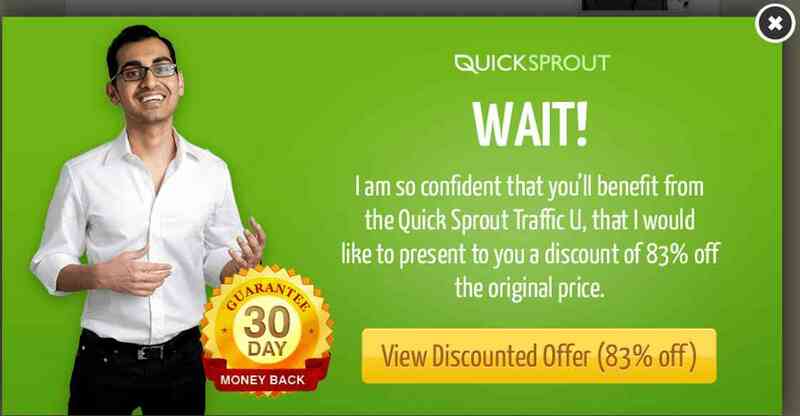 Don’t integrate a timed popup with an exit popup, as it will (rather than doubling the chance of a conversion) simply come across as spamming - something you really don’t want. An offer in your popup works just as it does in a retargeting campaign: communicating extra value to a possible lead or customer who has shown interest in your business but not quite engaged. Discounts like Neil’s work fantastically, as viewers feel like they’ve been picked out for something exclusive. Ebook promotion also works (especially when the content is relevant, as I’ll talk about in depth below). Although your ebook downloads are most likely featured on the side of your blog page anyway, putting the value of a comprehensive guide front and center increases the chance of your readers engaging. Display the exit “X” prominently. Utilize a popup builder or third party provider to ensure that your popups don’t show on every single page or more than once per unique visitor. Ensure you’re utilizing cookies and tracking software so you don’t show subscriber or lead prompts to people who have already converted. Do the same with non-subscribers who have been to your site multiple times and closed your popup multiple times (this is called spamming, and is one of the reasons popups get such a bad rap). Fade the window behind your popup to double the focus. I mentioned above that popups are effective so long as you’re not making people hate you. In this section I’ll discuss a few ways you can avoid that. Don’t use popups that look like a browser box. These freak people out (they think their computer is having an error) and will create serious distrust. Don’t have your popup cover the entire browser and screen, leave grey, darkened space around it. Don’t include more than one or two form fields in your popup. Email and name is more than adequate when asking for initial lead information. More will just increase bounce rates. Don’t spam your possible leads. One popup per visit is more than enough. AuthorityHacker recently created a popup for their client, a wellness company called Health Ambition. 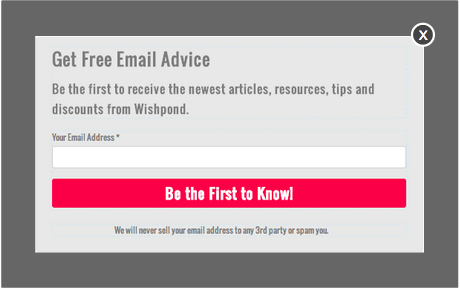 Initially the popup featured only an email list prompt to subscribe to their newsletter. Conversions were .59%. The next popup they ran prompted visitors to download a generic ebook on “7 Better Breakfasts” no matter what page the visitor was on. Conversion rates on the page increased by almost 100%. Awesome. But they kept pushing, not satisfied with doubling their conversion rates (despite the fact that a 1% email opt-in rate on a blog is pretty damn solid). Create different popups (and content) for each of your product pages, as well as each subject you discuss on your blog. Engage with a 3rd party popup provider to create popups specific to your landing pages. Feature the subject of your popup front and center (in the headline). 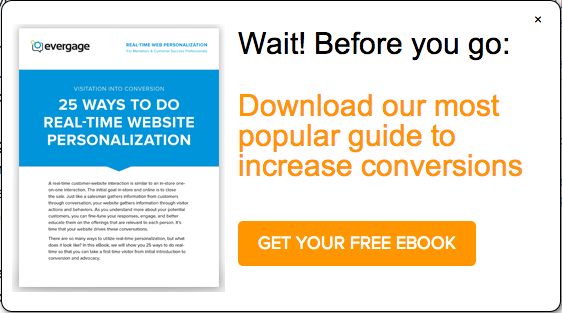 Make it clear, immediately, that your popup is relevant to your landing page visitor. Include an image that communicates the subject relevant to both your popup and the content or product. The idea of relevancy should make sense to all online advertisers. It’s the beauty of Facebook Advertising: people are far (FAR) more likely to click on an ad that’s relevant to them. 18-year-old boys aren’t going to click-through on an ad for maternity wear, and 65-year-old mothers aren’t going to click through on an ad for Axe body spray. The same goes for popups. Your landing page popup is far more likely to resonate with your site traffic if it speaks to the thing they’re thinking about in that moment. And that means an increase in conversions, leads, and dollars for your business. It’s not only enough for you and your business to test popups as a strategy, you need to test them against each other. In fact, you may find that one design, format, or strategy of popups decreases your page’s conversion rates, but another will double or triple your lead generation, sales, or email subscribers. Anyway, here are 8 ideas for testing your popups. Test your headline: The first thing someone sees when your popup “popsup”, you need to test it for size, color, location as well as copy. Test your image: As I mentioned in “relevancy” above, your popup may be more successful if it includes an image. Test people, products, or abstract images that communicate your subject. Test your CTA button: See what copy resonates most with your popup viewer. I’d avoid the standard “submit” and get a bit creative with it. Also test colors, shapes, and sizes. Test your copy: Like your landing pages, your popups should communicate value quickly and obviously. The example I gave above (of a good popup) was particularly solid because it had a short list of everything subscribers stood to gain from converting. Test your exit options: Do you receive complaint emails if you take away the “x” at the top right of your popup but include a “no thanks” option at the bottom? What about if you include the “x” but take away the “no thanks” option? What’s the conversion effect of allowing users to close the popup simply by clicking on the grey background? Test the “neg”: Many businesses have found success by including two buttons in their popups: one that reads something like “yes, I’d love to receive free access to awesome resources” and another that reads “no, I don’t want free stuff.” Test this strategy for yourself before implementing it across the board. If it’s not already clear that you need to test the hell out of your popups (and even the idea of them) I don’t know what more I can do. When used correctly they can have a serious effect on your conversion rates, increase your email list, boost lead generation and sales and result in hundreds of thousands of dollars in increased revenue. Or they can be the reason your business is being investigated by the feds for violating anti-spam laws. So what is the conclusion of all this? Should your business make use of a website popup or a third party popup builder? Should you test them first, implement them slowly and carefully and A/B test them at every step? In order to make this easier on yourself, you really do need to find a popup provider who makes it simpler. Implementing the code required for well-designed, optimized popups is mind-boggling for most people. A/B testing is equally difficult - especially as most of your favorite a/b testing tools (Optimizely, for instance) haven’t yet integrated popup testing into their software. Let me know in the comment section below if you’ve experimented with popups. Did you find success or just a bunch of angry emails?